A while back, here on my blog, I started sharing monthly what I was mailing to my Compassion kids. Then life just started getting a bit busy, and my little ole blog here was sorely neglected. So, here is to a new year and a new start to my Compassion Share & Tell posts! This month, since I have been going through Kathi's Kickstart to Clutter Free eCourse, I found I have quite a few (okay, a lot!) of the stationary we receive from Compassion when they send us a letter from one of our kids. Rather than throw them all in the recycle bin, I want to make good use of this resource that Compassion has invested in and mailed to us. This year, I want to do a better job of responding to letters as I receive them. Then sending a more generic letter with stickers and other things I find which meet the mailing guidelines once a month. Have you mailed a letter to your Compassion child this month? I would love to hear what you are mailing to them! I loved this fall template so much, that I used it for each of my kids this month since it went perfectly with the fall photo of the deer we saw in Yosemite. Have you taken the time to write to your child lately? If you are still new to letter writing to your Compassion child, you can follow the tips I shared on the Compassion blog this month. 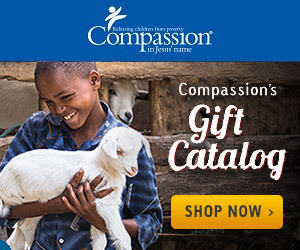 There are a few things you can do to make your relationship with your Compassion sponsored child just a little more special. If you do these four things, you will be making a huge difference in the life of a child living in extreme poverty. Your involvement in this child’s life could be what brings him/her and his/her family into a relationship with Christ. Isn’t that amazing that a relationship that is formed from another continent can be enough to make the difference in many lives? We may never know what the eternal impact of our involvement in these kid’s lives will be. Another place you can find some great letter writing ideas is on Pinterest. Compassion has a Pinterest account and the fun thing is that I am a contributor to the Compassion Pinterest account! There is a board dedicated to Letter Writing Ideas which currently has just over 100 creative ideas to include with your letters. One of my favorites projects that we have done so far is to trace our hands onto cardstock and write our favorite Bible verse. We sent these with extra cardstock with instructions for our sponsored kids to trace their hands and send them back to us with their favorite Bible verse written on it. We have received 2 of these handprints back! What creative item have you sent to your Compassion sponsored child lately?